FREE Poster Offer! See details below. 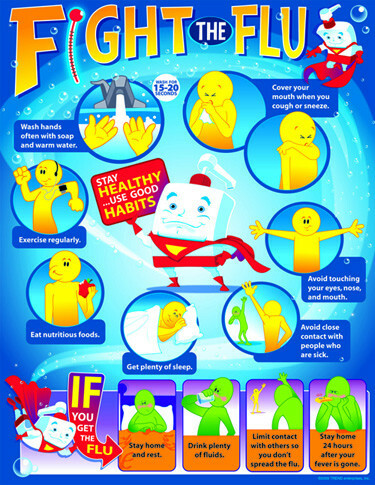 Fun characters illustrate how to stay healthy and what to do if you get the flu. A must-have school poster for every school. On the back of the chart contains flu facts, hygiene tips and reproducibles.